Is there something more for you, but you're not sure what it is? Do you know what the 'more' is, but you've gone as far as you can go on your own? Have you had glimpses of the true power of your essence, but the deep access eludes you? Are you struggling to break through that last veil between you and your true magnificence? When I was a teenager, I knew with every cell of my BE-ing that there was something greater, something bigger than me that I could expand into to live from the power and magnificence of God's grace. Question was... "How do I access it?" I struggled with this for .....well.... years. OMG years! My diary read like a dissertation of, "Life Manual: What NOT to Do". I struggled, I cried and I struggled some more. Then an Earth Angel introduced me to Florence Scovel Shinn's simple teachings. and I got more than just a glimpse of the 'something better' that I knew existed for me. I began to LIVE it! But... I had a habit of taking the painful stuff back and playing with it. I would excel, then I'd get on the rollercoaster of 'Light/BE-Happy' and 'Darkness/Struggle-Some-More'. Then I had a tremendous breakthrough... for some people, the breakthrough itself is enough... but I needed a human hand of support to help me fully transcend limitations and BREATHE through my essence daily. The teachers and support came to me in different ways - first in human form and then with more angelic support. And they brought with them golden nuggets of wisdom. With the help of the angels and Florence Scovel Shinn's spiritual energy we've perfected this human hand of support and guidance as The Secret Door to Success MASTERMIND. When the angels and Florence came to me in December of 2014 and asked me to create "The Secret Door to Success: Your Manifesting Blueprint" workbook and use it as the basis for the mastermind, they also showed me the energy it would hold. The energy they showed me was EXCITING! OMG! It. Was. Exciting. BUT... it didn't hold a candle to the actual experience of BE-ing a member of the mastermind. The energy was miraculous, magical, intoxicating and expansive. There is nothing more inspiring, moving and uplifting than being in a small group of like-minded souls who support and nurture each other. Kate is a miraculous leader - a gentle and wise spirit clothed in human form. If you are truly seeking the path to a higher understanding and greater meaning and success in your life, then you MUST be a part of the next Secret Door to Success Mastermind. This MASTERMIND is about more than manifesting. 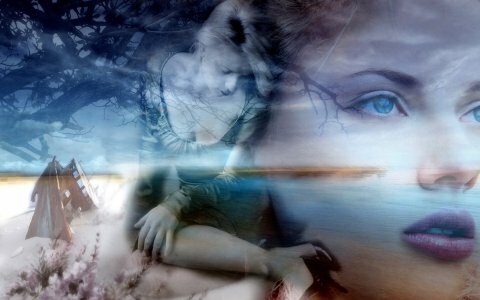 I have been a spiritual seeker all of my life looking for that connection to God, the divine within, the angels and guides of the heavenly realm. I have also experienced some painful, traumatic events that have gotten in the way of my achieving this. Pain and terrible fear that have paralyzed me at times have seemed insurmountable. I have taken many spiritual classes, read countless spiritual and metaphysical books and spoken with mediums and psychiatrists to overcome the pain and fear and to find enlightenment. All of this has fallen short in setting me free in the way that I knew had to be possible. The Secret Door to Success MASTERMIND has finally allowed me to get past these obstacles, face the pain and fear, heal and experience the true, joyful, spiritual freedom I have always wanted! I have achieved my Heaven on earth!!!! This class has been nothing short of miraculous in my finally manifesting the healing and the connection to God and Divine awareness that I have been praying for all my life. I feel reborn and I have stepped into the true power and the limitless possibility I am. I don't know what the future holds for me, I just know that anything is possible and I am so excited for it! Thank you, Kate, for clearing the way, for all your work and for this miraculous class. It has transformed my life and I am eternally grateful. All my love and peace! Shift from faith and trust to "knowing"
This program is NOT for 'Dabblers' who are not willing to fully engage to transform their life. about claiming your power to create and live your most Magnificent Life. BE present for each call. step into a greater expression of yourself. be open to angelic support and guidance. open the door to heal the heartache of your soul. face, heal and disconnect from the energy that the angels reveal to you has been holding you back. BE a valued member of the Secret Door to Success family and support the other members with unconditional love. You will be guided step-by-step on what to do. Magnify, Electrify and FORM Creation Energy to manifest your desired experience! 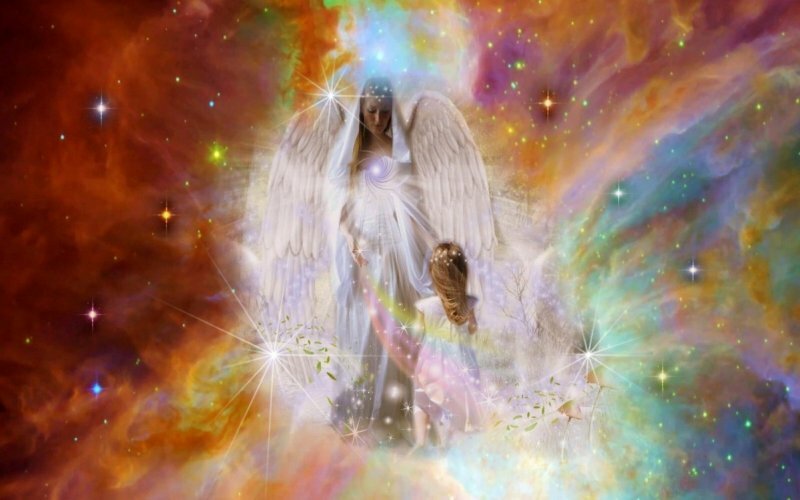 Together, we will work with the angels and each other to reveal the core energy of what has been holding you back - not by digging, but by shifting your energy to love and allowing the angels to reveal to you the energy that no longer serves you. Together, we will create your personal Manifestation Blueprint that will powerfully show you how to give FORM to your Creation Energy. You may then take that blueprint and experience a revolutionary new paradigm of living manifesting what you want again and again. again and again to manifest experiences and relationships that magically transform your life! This is a small, powerful, intimate, hands-on-experiential MASTERMIND. 10 INTERACTIVE Manifesting Module Calls. Each participant must be able to be on, and participate in, each Manifesting Module Call. Our "connected" alignment of energy proves to be miraculous! You will receive personal "Treatments" designed specifically for what you wish to manifest. One 60 minute one-on-one session with Kate for private support. You will receive TWO Secret Door to Success: Your Manifestation Blueprint workbook/journals. This magical book contains Florence Scovel Shinn's original Secret Door to Success, Action Steps AND guided journal space to perfect your personal Manifesting Blueprint and record the intimate details of your Mastermind experience for future reference. You will receive the extensive Dynamic Mastery Tool Library from The GAME of LIFE MASTERY Program. Private Facebook Community for MASTERMIND Members ONLY. The GAME of LIFE Mastery Program! NOTE: this IS an experiential mastermind event - EVERYONE participates and is supported! NOTE: Each mastermind is limited to 4-6 people ONLY. PREREQUISITE: The GAME of LIFE Mastery Program - The GAME of LIFE Mastery Program is no longer a prerequisite for this program - instead a Lifetime Membership to the GAME of LIFE Mastery Program is included!! HOWEVER ---- you MUST be a Florence Scovel Shinn student - e.g having read her books and understand her teachings to join this mastermind. If you do NOT know who Florence Scovel Shinn is, this program is NOT for you! Are you ready to be seated at the MASTERMIND Round Table of unconditional loving support? THIS is your opportunity to take inspired action within a safe, loving, supported, limitless container and expand your manifestation headquarters exponentially. You are powerful on your own! When you combine the energy of your desire with the collective unparalleled intention of this manifestation family... flashes of creative inspiration that only suggested possibility in your consciousness previously... become reality --- Manifestation Completed! Contact Kate today to reserve your seat at the Manifesting Round Table! Seating is limited in each MASTERMIND! to answer your questions and schedule your interview appointment! Your request does not obligate you to participate in this MASTERMIND. It is hard to put into words how incredible I think you and your programs are, but I will try! After participating in the Game of Life Mastery Program and experiencing tremendous spiritual and personal growth, I was extremely excited to take part in The Secret Door to Success Mastermind. This program is truly incredible and I can honestly say I am a different person (in a very, very good way!) than I was before I started. 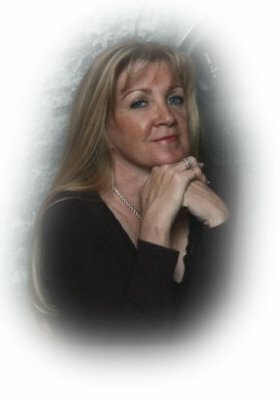 Kate Large is an extremely gifted spiritual guide and teacher. She truly cares about her students and her love and support is the secret ingredient that makes her programs have such power. I feel truly blessed to have found her and her programs and teachings. I have been on a spiritual path most of my life, turning to God for help to survive an abusive childhood and then an unhappy, unloving marriage. I struggled with low self esteem and low self worth and feeling not good enough and undeserving. Kate and the other amazing people who were part of the mastermind with me created a safe, loving supportive space for me to heal and grow. This program is so amazing because as I sit here with tears in my eyes, I know this program and Kate's love and wisdom has truly Healed My Soul. Parts of me I didn't even know were broken are now healed and whole and I look at life through new eyes, with a loving, positive outlook. I have changed from a person filled with fear and desperation, hoping and praying something would finally change, to a strong woman who Knows she is the Master Creator of her own life and all that I desire is Mine! Moving from hoping and wishing to true knowing is an invaluable gift and I will be forever grateful to Kate and all the people who I now consider my dear friends who did the program with me. Search your heart, if you are led to this program, you will be truly amazed at the powerful positive changes it will invoke within you. Take the chance, you are worth it and I assure you Kate will not let you down! Kate, I mean every word - when we joined the SDS Mastermind, you promised we would create a manifesting blueprint that we could use for the rest of our lives - you completely fulfilled your promise! You are a such a blessing. Thank you for everything. I cannot thank you enough, Kate, for creating and leading the Secret Door to Success Mastermind with such loving guidance. When a small group of people come together to master material and chart their own particular course with it, it is invaluable to have a leader and guide like you. Your understanding of (and ability to communicate) the nuances of Florence's work, and your support of the mastermind members as they build their confidence and begin to manifest on their own are cornerstones of the success that comes from being a part of this mastermind. I have now truly mastered living my Heaven on Earth! For those who are finally ready to truly shift their reality through implementing the work of Florence Scovel Shinn, with your loving and inspired support, this is the only mastermind program to consider! It is with much appreciation and pleasure that I write this testimonial having participated in your first Secret Door to Success Mastermind Program. 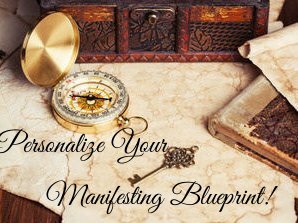 At the very start of the journey, you promised that we would learn how to create our own manifesting blueprint, and that we could/would use it for the rest of our lives. You absolutely were true to your word and really fulfilled your promise! There were so many aspects to creating the blueprint, which is an empowering document, that changes as we grow and expand energetically in all areas of our lives that we want to use it for. Truly inspiring! The support and love from the other gals in our group is stunning! Even though our mastery program has officially ended, we all stay connected via calls and our private Facebook Community, and my partner/buddy (from the program) and I enjoy our ongoing weekly calls. This has been instrumental in achieving all that we set out to do. Thanks again Kate for everything .. so appreciative of your leadership, gifts, love and support! This amazing program has help me to focus and face issues I was afraid to look at. 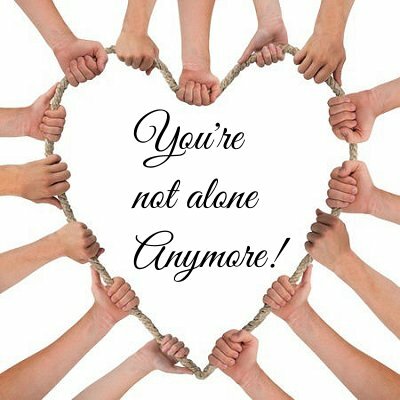 With the loving support of Kate and the group, it helped me feel not alone. The teachings have touched me deep inside and reconnected me to my spiritual beliefs. All my life I have wanted a loving family who would hear me and support me to be the greatest expression of ME possible. I never dreamed I would get it from a virtual program, but I did! Kate and the angels held the safe space for each of us to be vulnerable and heal our painful wounds of the past so that we can now be Empowered to powerfully create the life we've dreamed of. This program is life changing and I highly recommend it. You asked for us to send you information on our experience with the Secret Door of Success Program. I sat down and thought, how am I going to do that? How can I put my feelings into words? My words would seem empty to the experience and feelings that I have about the program and what I experienced. When you first advertised the program, I sighed with relief because I knew that God and the Angels were listening. From the moment I received the Secret Door to Success: Your Manifesting Blueprint book I felt the surge of hopefulness that vibrated from the pages. I knew I was about to change my life and the way I looked at it. I was able to experience the magnitude of feelings and steps to create my heaven on earth! I was always looking for the “How”. The “How” to change my life because I was really tired of being in the same place, living from the same thought process that I have had my whole life. 3. Trusting the knowledge that I have inside myself - this has been HUGE for me! The transformation I have been able to encounter with this program is life changing!!!! I have been able to manifest a new position with an increase of 15%, incredible benefits and the ability to work from home a couple days a week to be home with my daughters. I don't feel that I would have been able to do that without Kate and her program. If you are ready to change your life sign up for Kate's program to create your heaven on earth! I have loved being part of Kate’s Secret Door to Success Master Mind programme. 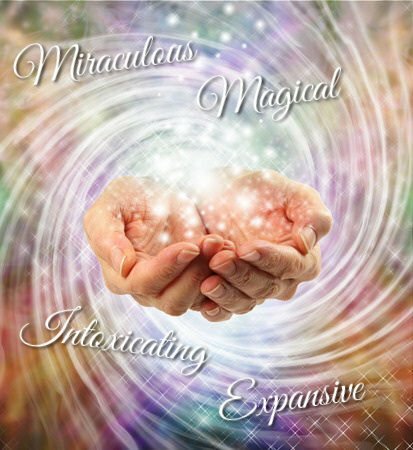 Everything is so much more powerful when we combine our intentions, and with Kate’s angelic voice and intuitive guidance, I have been transported to a whole new vibration. And I felt pretty good before! I am sure Florence too, was helping me along from her higher realms, as there have been many changes for me during the course of the programme, not only in the way I think, but in real tangible results. Thank you Kate, it’s been a joy. The angels told me they wanted me to present the Secret Door to Success MASTERMIND just before Christmas 2014 - and they wanted me to do it in January. Really? The book, The Secret Door to Success: Your Manifesting Blueprint, hadn't been written yet! Then they showed me the energy of the program - OMG ===> it was MAGICAL! The energy was miraculous, magical, intoxicating and expansive. The vibration the angels held the new program in ascended my vibration to a level I'd never experienced before - and we hadn't even started yet! On January 26th, 2015, the new Secret Door to Success family met for the first time - virtually by phone/Skype - and I discovered the angels had only given me a glimpse of how truly magical and powerful coming together with these ladies would be. Time and space ceased to exist as the angels held the loving space for the six of us to gather at our manifesting round table. The ladies were heard like they had never been heard before - vulnerable without being vulnerable - seen as the beautiful goddesses of love and light that they are - always fully supported in a loving space that defies description of the human word. Amy, Patti, Pam, June and Pam bravely opened their hearts to the love that they are and illuminated the fear that had been hidden there to see it for the illusion that it is - and they were fully supported to process through it. With clarity they created their personal blueprint for manifesting the joy filled life they deserve now and always. If you are interested in being a valued member of something bigger and greater than you are - something that ascends your energy and transforms your life, please contact me so I can answer your questions and secure your seat at the Manifesting Round Table. Opportunity is knocking on Your Secret Door to Success, are you ready and willing to answer?